The champions of the Iditarod are true icons. They embody the enormous accomplishment that we aspire to within our own individual passions. We look at them and we see success. Although these amazing examples inspire us, we often feel very small around them, as though we could never do what they do because, after all, we are only human, right? It is for that reason that I find the rookies so very interesting. Iditarod rookies are mushers that have not yet completed the Iditarod and crossed under the arch in Nome. I find I can relate to them more easily. I watch carefully each step they take toward their successes and think to myself – that’s doable, not easy, but doable. I have a new inspirational partner of my own this year. His name, oddly enough, is Rookie and he is a sled dog that appears on my easel every morning. My job is to work with him until I can draw him quickly and easily (under a minute) to introduce him to the students I meet along my trail. Rookie helps me see things with an accurate and positive perspective. He reminds me every morning that there isn’t much I can’t do if I put my mind to it. So far he has gotten me back out on the pre-dawn running road four out of five mornings this week. We are all really rookies at something. 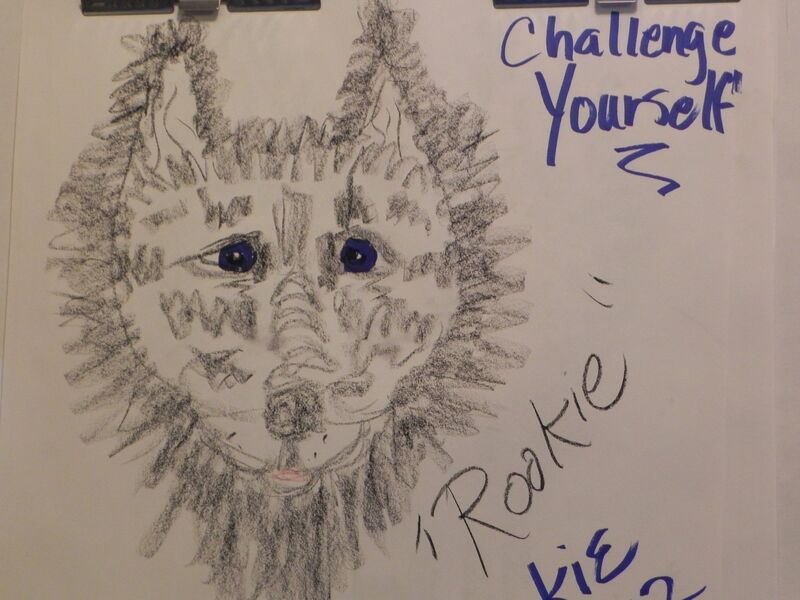 This month I offer you the beginning of Rookie’s development, (please feel free to offer suggestions). I also offer three lessons you may wish to include this year. They all involve imagining a goal and planning for it, which is where all rookies start on the road to success. I hope you find one of my lessons this month that works for you and as always feel free to email me with reactions, suggestions and new ideas.